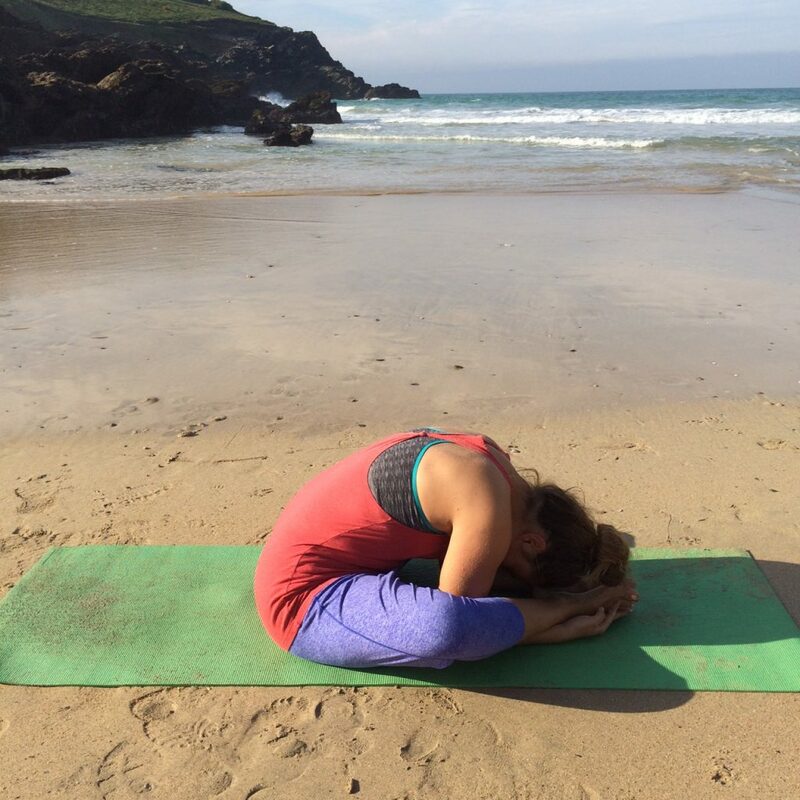 A yin yoga practice is so rejuvenating at this time of year when we need to slow down and take care of ourselves. 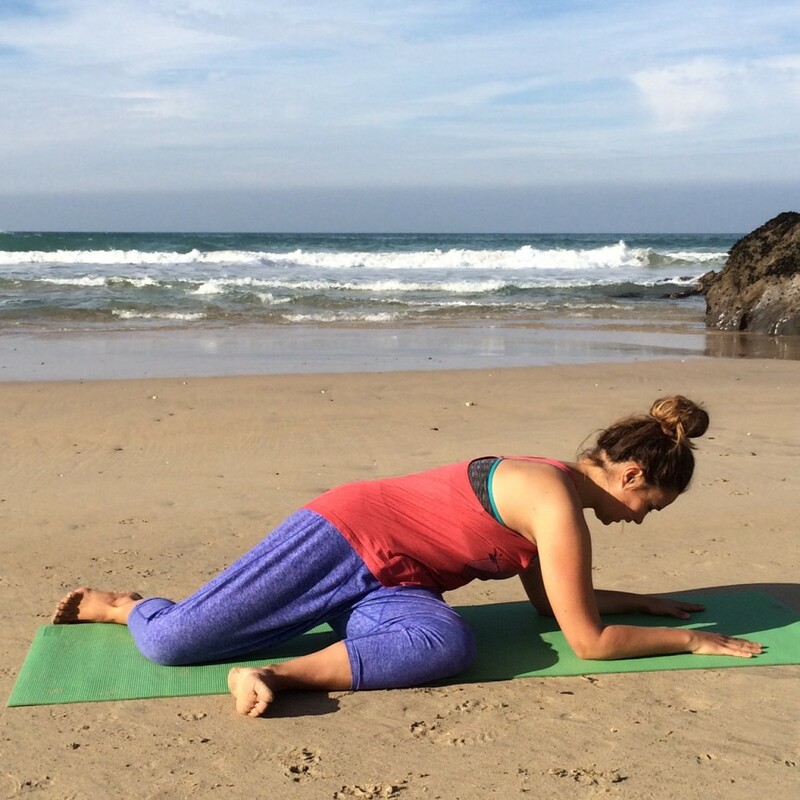 This yin yoga sequence will help you to release tension in your lower back and the outer hips. It will help you to gain greater flexibility and mobility in your joints and connective tissues and prevent injuries. Use your breath. When you start to feel uncomfortable or your mind is full of thoughts keep coming back to your breath. Visualise every exhale as a letting go: of tension in the body, of attachment to your thoughts and of any emotions that may arise for you. Don’t fidget! Find the appropriate edge to the pose where you can breathe deeply and remain still then settle there. Use a timer so you don’t have to keep checking your watch/clock. If you are using your phone as a timer put it on airplane mode so you won’t be distracted. This chakra chime app with timer will play a chime or singing bowl sound to gently bring you out of the poses. Sit down. Bring the soles of your feet together, let your knees drop open so your legs form a wide diamond shape. Let your back round as you fold forward and allow your head to hang towards or on to your feet. 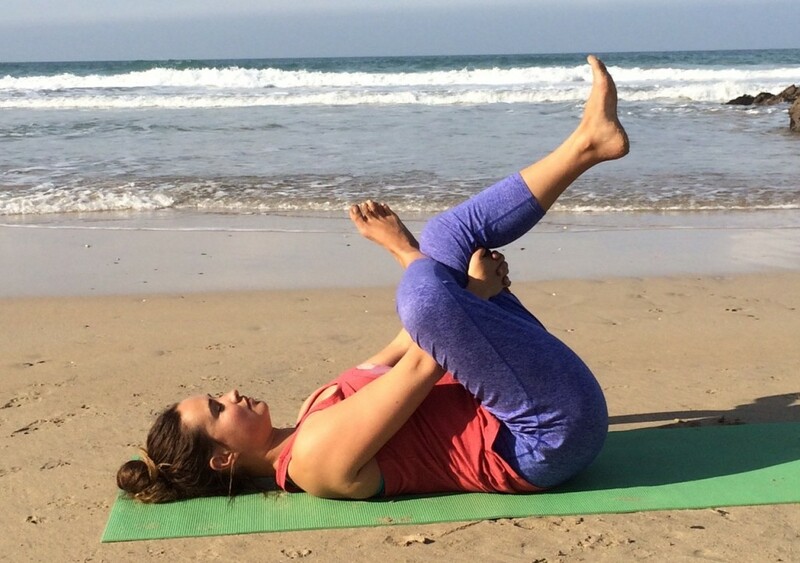 Rest your hands on the tops of your legs. Or if it feels comfortable for you thread your forearms underneath your legs just above your ankles and hold your feet with your hands. Stay here for 3 minutes. 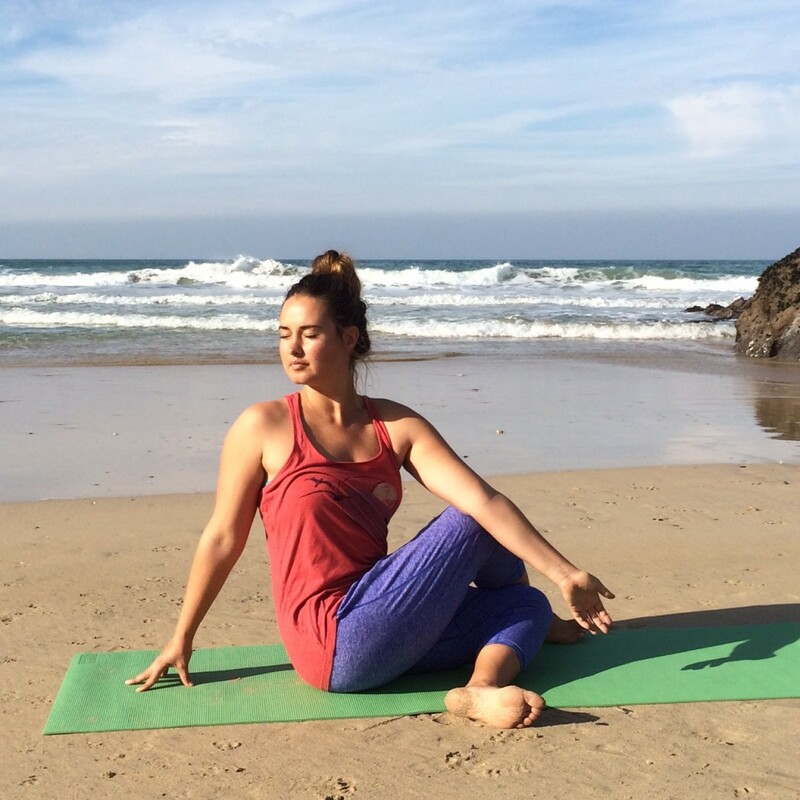 Breathe in deeply as you lift up out of the pose and sit tall. Keep your left shin out in front of you parallel with the long edge of the mat bending your knee to form a 90 degree angle between your shin and thigh. Twist from your belly to face to your left. Bring your forearms down on to your mat. Keep your spine long and gaze straight down at the floor beneath you. Breathe in as you slowly lift back up to sit tall. From your deer pose legs swing your back (right) foot forward and step it to the floor outside your front (left) knee. Take your right hand to the floor behind you. Twist to the right hooking your left arm over your right leg, or holding your knee. Breathe in to sit tall and face forward. From your seated spinal twist leg position move your right foot further over to the left bringing your right knee down directly on top of your left. Rest your left hand down on the floor beside your hip. Stretch your right arm up and over your ear side bending here. 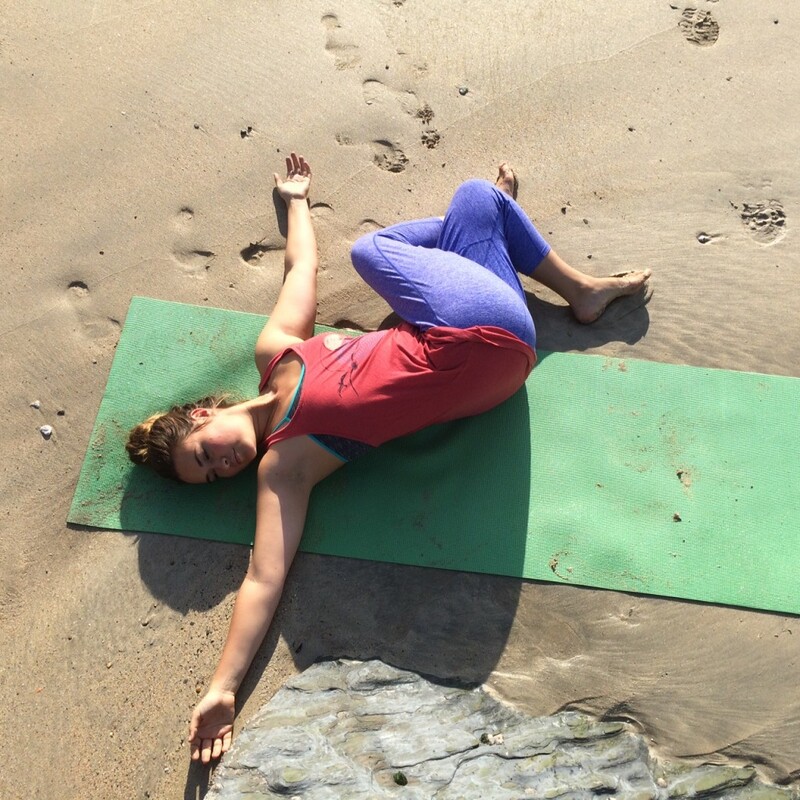 Stretch your legs out in front of you and lie down on your back taking a minute in a ‘mini’ savasana (see the final pose of the sequence if you’re not sure what savasana is) between sides. 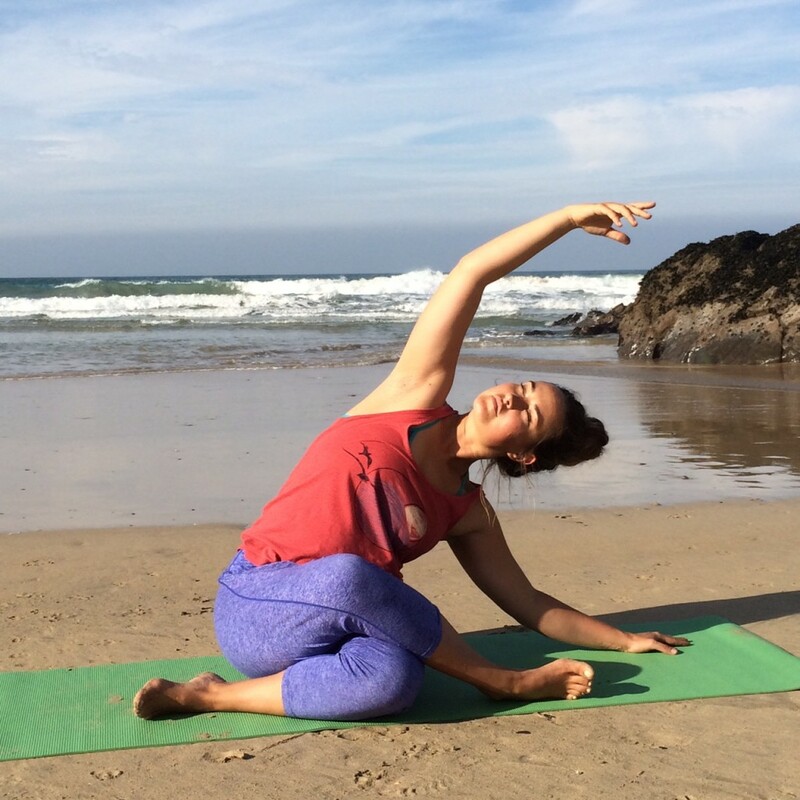 Then complete deer pose, seated spinal twist pose and shoelace sidebend on the other side. From your mini savasana (after you’ve completed your second side) remain on your back and place your right ankle on to your left thigh. Lift your legs toward your chest and hold on around your left thigh. Relax your shoulders and head down on to the floor. From your eye of the needle pose cross your right knee all the way over your left like you would if sitting cross legged. Take your arms out wide, hands in line with your shoulders and palms facing up. Lower your crossed legs to the floor on your left keeping your right shoulder down. Look towards your right thumb. 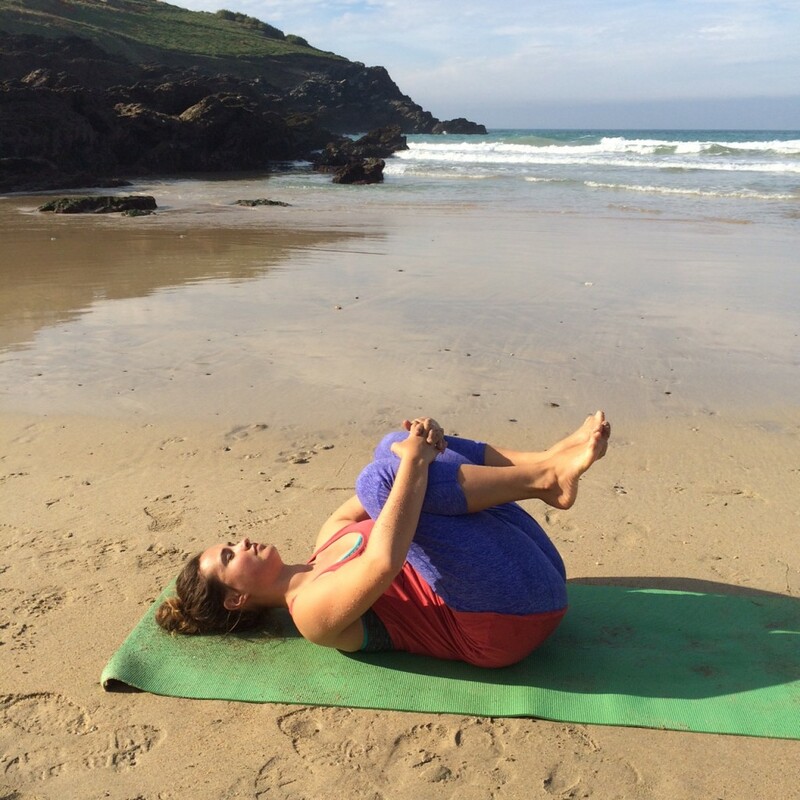 Uncross your legs and hug your knees in to your chest. 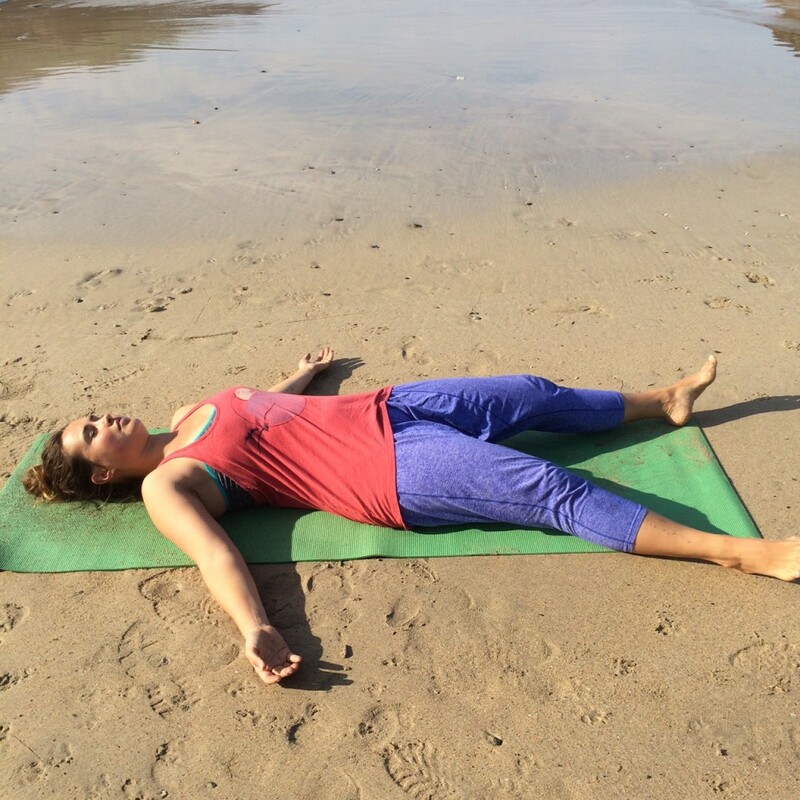 Take 8 deep breaths here before repeating eye of the needle and lying spinal twist on the second side. Give your knees a final hug in to your chest. Take your feet at least hip width apart and let your toes roll out. Have your arms alongside you, just a little way from your sides with your palms facing up. Hold for 5 minutes (or as long as you can).